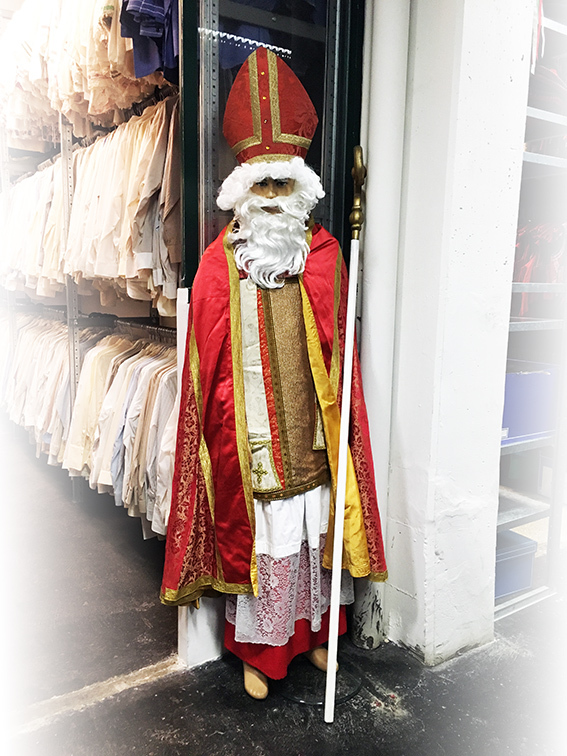 Saint Nicholas as we are celebrating him today is based on a historical saint. His memorial day is on December 6th. When visiting, St. Nicholas praises and gifts all good children while scolding and punishing the bad ones. In his golden book, he can see whether children were good or bad in the previous year. 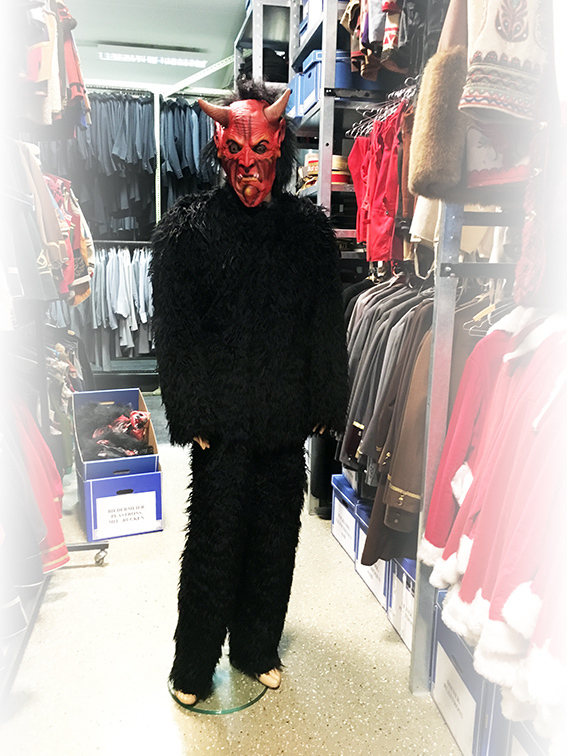 As counterpart and assistant St. Nicholas often brings along Krampus. While St. Nicholas rewards good children, Krampus scares the bad ones with his whip and chains. 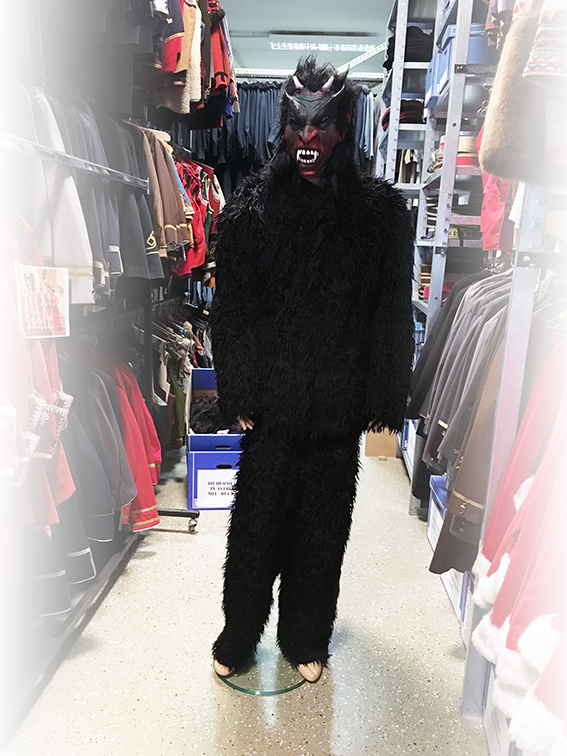 If the two of them visit separately, Krampus Day is on December 5th. 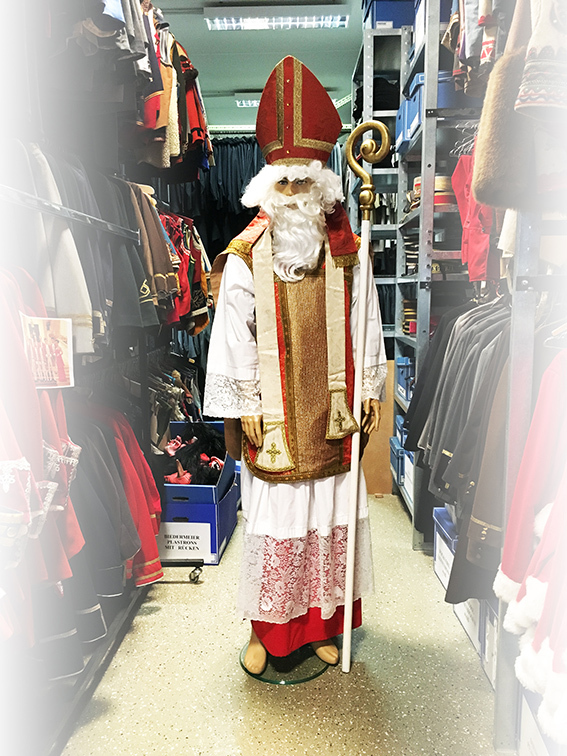 Originally St. Nicholas Day was the day of handing out the gifts to children, in some countries it still is. 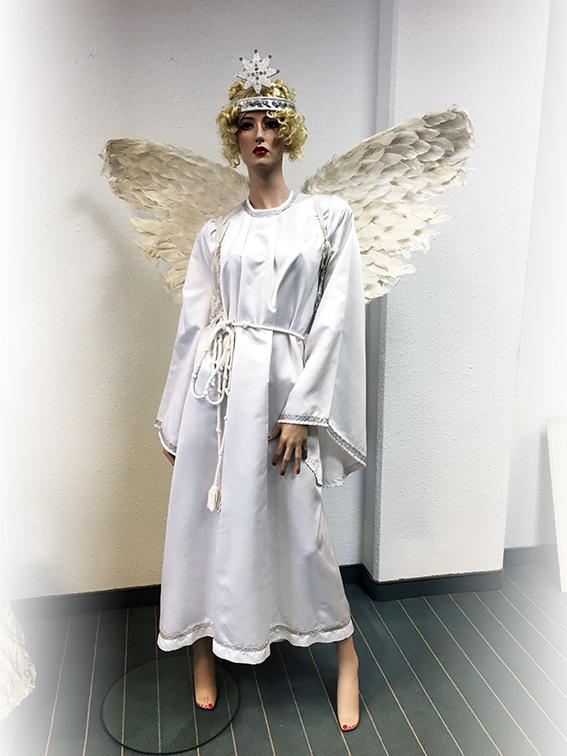 During the Reformation this tradition was moved to Christmas Day in many countries to shift the children’s focus from worshipping saints to Christ. So St. Nicholas was replaced by the Christ Child. 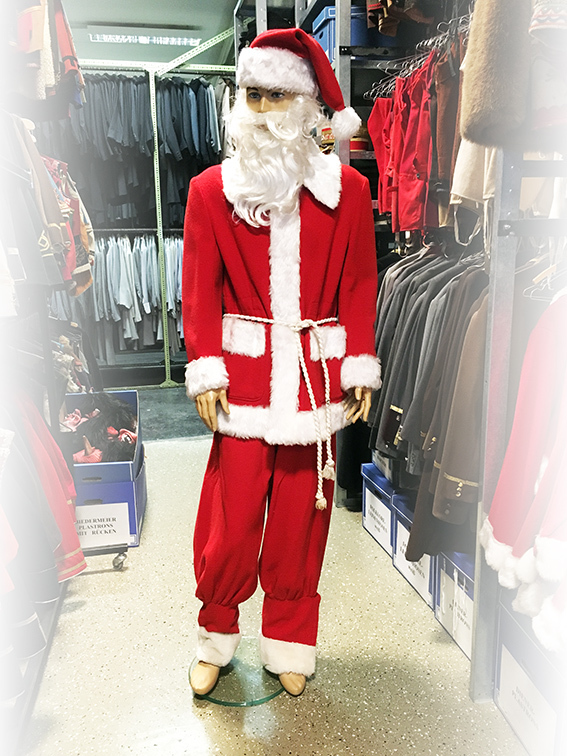 Due to these changes, in the 19th century the US developed the belief in Santa Clause, which also exists in many evangelic places throughout Europe. There it is Santa, who brings the presents on Christmas. 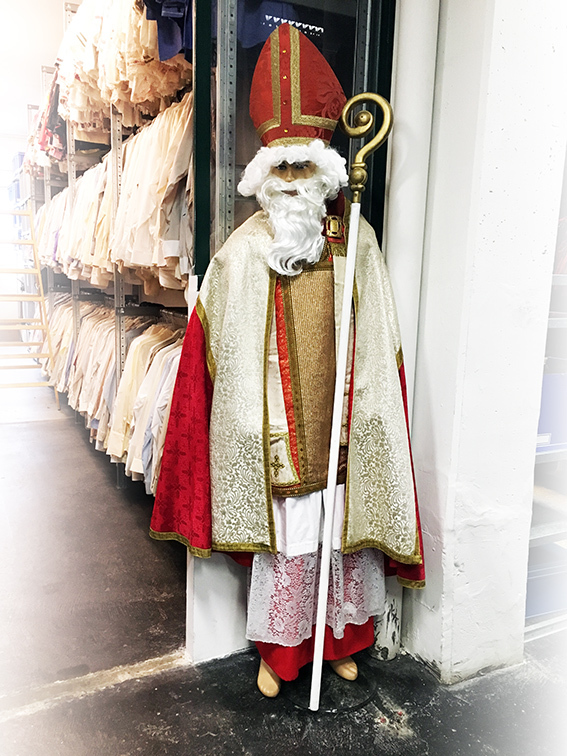 No matter which of these Christmas festivities you are planning on celebrating, our team at Lambert Hofer is happy to provide you with a beautiful richly decorated St. Nicholas, a creepy, furry Krampus, a classical red and white Santa Clause or an angel/Christ Child with big white wings, white gown and halo! 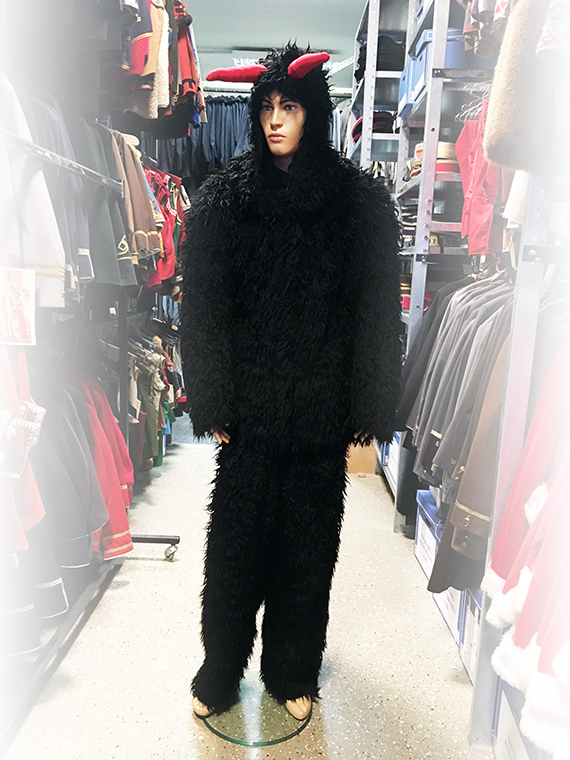 Here you find the suitable costume for all kinds of family gatherings, company Christmas parties and cozy get-togethers with your friends. If you need any of these costumes, please reserve in advance.